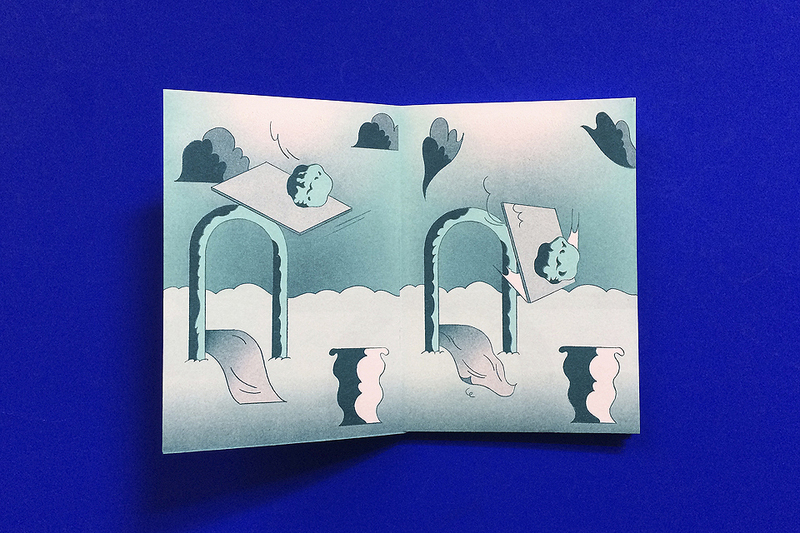 The Hermit is a two color risograph printed zine published by Berlin based riso workshop Colorama as part of their illustration anthology Clubhouse, issue 9. 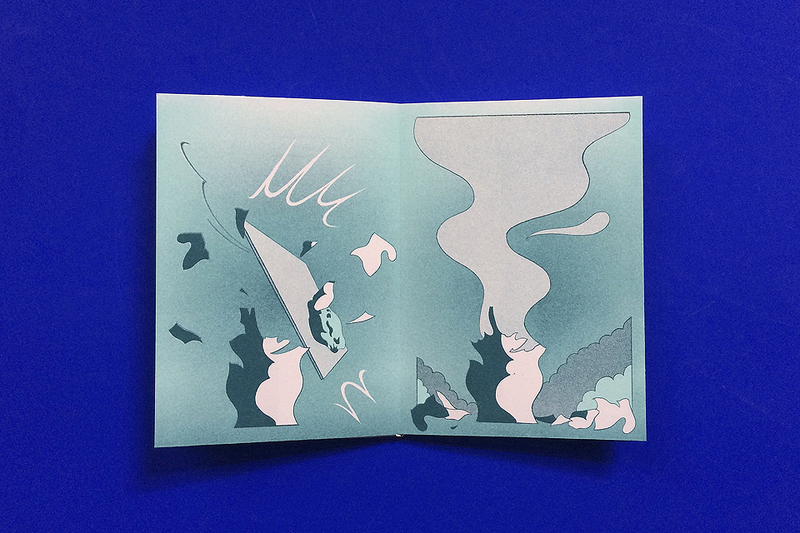 The folded zine was created in response to a poster by Tali Bayer, which is — if unfolded — on the back of it. It's available for sale here, including four more poster/zine contributions by other artists.